With the skyline of Manhattan behind, a B.O.A.C. 747-136 starts a long turn for a heading to the U.K. With the introduction of this aircraft a whole new era of transportation began. 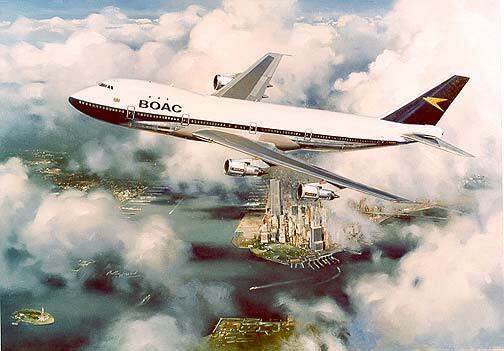 Known to many as the jumbo jet the size of this airliner meant new challenges for airports and airlines alike. This superb print by the artist Anthony Cowland G.Av.A. is a limited edition of 500, each signed and numbered by the artist.